This Wednesday, a partnership agreement was signed between FC Barcelona, Ramon Llull University and the Fundación Blanquerna to promote, as part of the Barça Innovation Hub, an innovative masters course in physiotherapy whose contents will be based on the work done in this field at FC Barcelona. It is called the University Masters in the Physiotherapy of Team Sports and will compete on an international level with other studies in the area after the 2016/17 and 2017/18 courses were conducted exclusively by physiotherapists from FC Barcelona. The aim is to train expert physiotherapists in management, prevention, emergencies, recovery and rehabilitation regarding sports injuries, and to prepare professionals with a high capacity for the development and application of scientific knowledge to the reality of team sports. The course runs from October 2018 to July 2019 and will be given in classes at the Campus Blanquerna-URL and the Ciutat Esportiva Joan Gamper. Over the next few weeks, members of the Barça Innovation Hub and Ramon Llull University will be working on the course structure and content, and selecting staff. All of the details will be put together in full respect of FC Barcelona quality standards and with the involvement of the club’s sports performance staff, who will also be teaching some of the subjects. 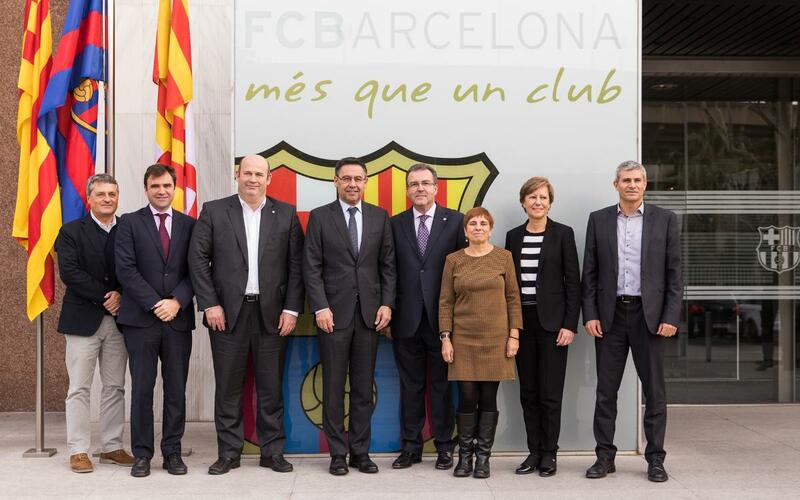 The agreement on this new course was signed at the club offices in the presence of Josep Maria Bartomeu, president of FC Barcelona; Òscar Grau, CEO of FC Barcelona; Andreu Ibarz, director general of the Fundación Blanquerna; Concepció Mestres, Dean of the Blanquerna Faculty of Health Sciences; Montserrat Queralt, manager of the Fundación Blanquerna and Dr. Albert Puig-Diví, vice-dean for Degrees in the Blanquerna Faculty of Health Sciences and co-director of the University Masters in the Physiotherapy of Team Sports. Through this new agreement, the Barça Innovation Hub is extending its educational offer with an eye to FC Barcelona being able to help to change the world through sporting excellence, knowledge and innovation. For that reason, it intends to continue to create new products and services in this area in order to benefit athletes at the club, its members, fans and society in general.